Netflix lands rights for comic book feature 'The Old Guard,' Charlize Theron to star – AiPT! Netflix continues to gobble up every non-Marvel comic it can get its hands on. A report out of Deadline tells us that Netflix has secured distribution rights to Gina Prince-Bythewood’s film adaptation of the Image Comics series, The Old Guard. Prince will be in the director’s chair, with Charlize Theron and KiKi Layne both cast in major roles. 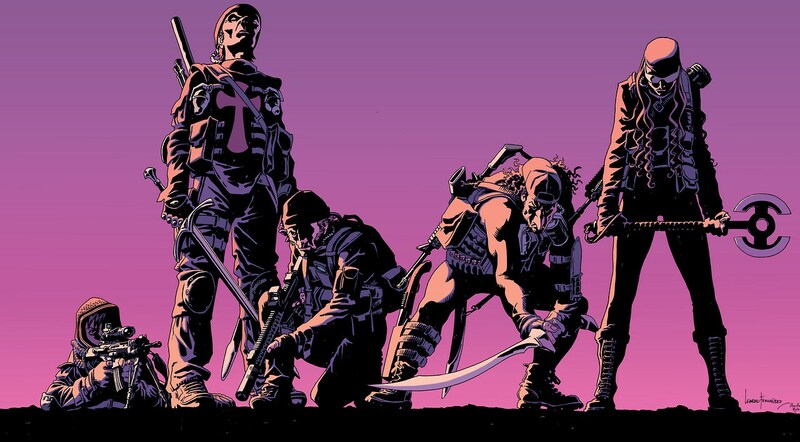 The Old Guard was created by writer Greg Rucka and illustrator Leandro Fernández in 2017. The series follows a group of mercenary soldiers led by Adromache of Scythia – “Andy” – who can’t die due to being cursed with immortality. Their world comes crashing down when their immortality is exposed to the public, and they discover another immortal with astonishing powers. Rucka will be leading his talents to the adaptation by penning the screenplay. Producing are Skydance’s David Ellison, Dana Goldberg, and Don Granger, with Theron, Beth Kono and AJ Dix for Denver and Delilah; and Marc Evans. Stan Wlodkowski is also on board in the role of executive producer. While Netflix may have severed its relationship with Marvel, it certainly isn’t slowing down with comic book projects. The first season of Umbrella Academy premiered last week, and Mad Mikkelsen’s Polar was released in January. Upcoming projects for the streaming giant include Reborn, Jupiter’s Legacy, and Last Sons of America.